The UFC’s early 2019 schedule has already seen some significant shakeup. Now, UFC on ESPN+1 features a high-profile title fight. Cejudo vs. Dillashaw was scheduled for UFC 233’s co-main event slot from Anaheim, California the week after UFC on ESPN+ 1. But when the Brooklyn card was left without a headliner, the promotion decided to move the 125-pound title fight across America to New York. The fight is possibly the last 125-pound title fight in UFC history. 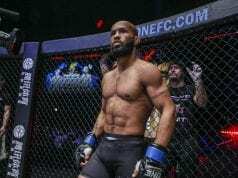 The expectation is that the division will be cut due to longtime former champion Demetrious Johnson leaving for ONE Championship. The card will be the promotional debut on streaming service ESPN+. It recently gained some controversy. The event features the debut of controversial heavyweight Greg Hardy on the same card as domestic violence victim Rachael Ostovich. So the UFC’s early year schedule is very much still in motion. 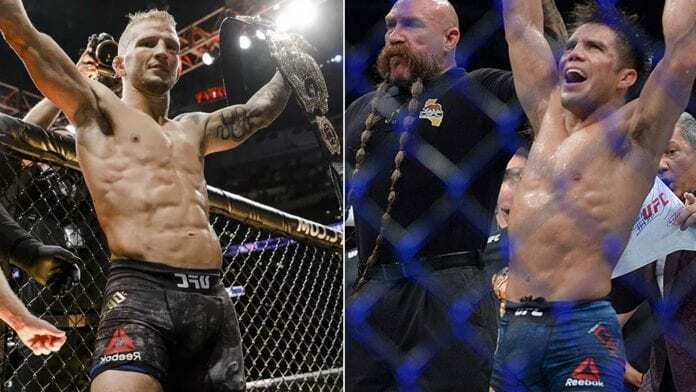 Even though UFC on ESPN+1 and UFC 233 are on opposite ends of the country, they may still be sharing fights until the lineups are finally resolved.